After battling unemployment and struggling to make payments on his mortgage, Cobb County resident Steve Boudreaux did what any diligent homeowner would do--he applied for an emergency home loan modification to stay in his home at a rate he could afford. Everything was all set to move forward until the IRS delayed in getting tax transcripts to his bank, Wells Fargo. 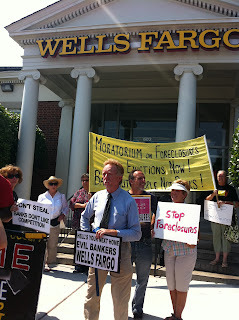 Wells Fargo, rather than wait for the transcripts to come in, pushed forward with a foreclosure sale, even though the modification application was incomplete due to no fault of Steve's own. To add insult to injury, the transcripts were delivered the day after the foreclosure sale. Today Steve was joined by Occupy Our Homes ATL and Cobb United for Change at the Wells Fargo branch that Steve originally applied and received his home lone with one simple message, "You have all the information you need! Make a deal to keep Steve in his home!" Cobb United for Change and Occupy Our Homes are ready to stand up with Steve to keep him in his home. Will you? You can help Steve and call Luis Fortin of the Wells Fargo "Home Preservation" Team and demand he work to keep Steve in his home. 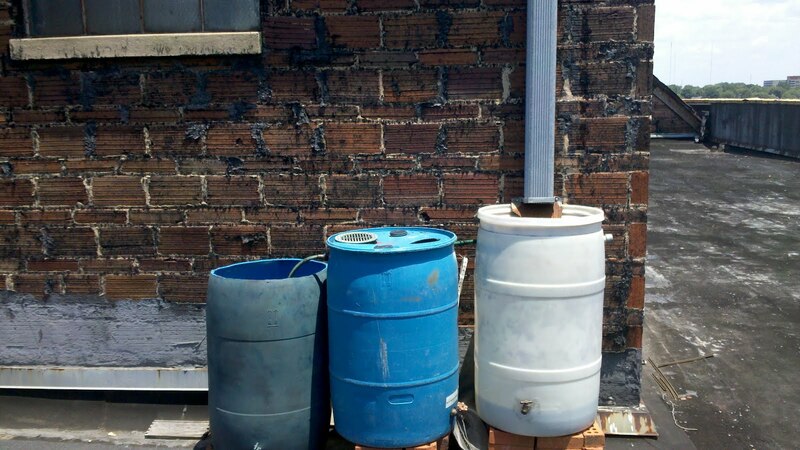 To reach Mr. Fortin call 877-458-8418. Once connected dial 0 until you are asked for an extension. Luis is ext. 31560. 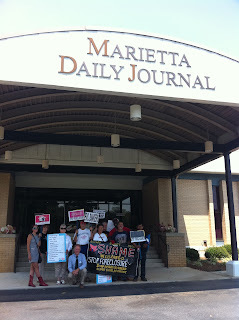 Make sure to tell him that "Wells Fargo needs to work with Steve Boudreaux at 1525 Rubes Landing in Marietta. Set aside the foreclosure and make a deal to keep Steve in his home!" After putting Wells Fargo on blast folks headed over to the Marietta Daily Journal to let them know that they needed to start covering the worst housing crisis in Georgia History. Last October, while the occupation of Troy Davis park was still going strong, it became clear that coming up with a plan for an immediate park eviction by force was a smart move. One thing was certain, occupy was a grand experiment that no one participating in, passively supporting, observing, or opposing could possibly predict where things were going back in late October. 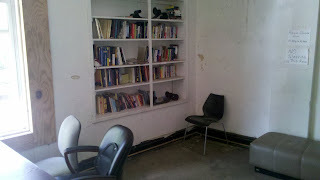 One plan that was developed was to have everyone who needed a place to sleep if an eviction by force went down would go to Task Force for the Homeless(Peachtree and Pine as some call it) and set up an HQ space on the 4th floor. When the eviction went down, on October 26th only a few went to PNP, most went elsewhere to recoup and prepare for reoccupations. After over a week or so of reoccupation attempts it became clear that the Mayor was prepared to use all the force he had at his disposal to keep Occupy Atlanta down for the count. 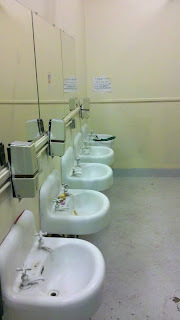 At the point many folks did begin to flood the 4th floor over at PNP. It was a culture shock to the longtime occupants of PNP.The volunteer staff at PNP wasn't used to dealing with dozens of activists coming and going all hours of the night, and many OA participants were not used to being surrounded by so many homeless men in extreme crisis, along with drug dealers that the city police had been corralling to the PNP area for years in their effort to shut the shelter down. 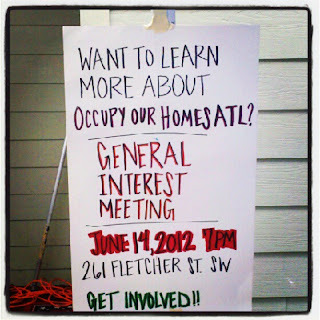 Occupy Atlanta was not prepared to run on indoor intentional community, and it showed. There were fights, there were freeloaders, folks went on power trips, there was problems with food, women often felt uncomfortable, and many times it felt like things were on the verge of falling apart. Some believed, even within OA's ranks, that the PNP occupation should just end. It hasn't ended, but it has change dramatically in the last six months. There is now a very strict process required to become a part of the community. The PNP occupation now has a very strong work ethic. If you don't pitch in, you can't stay. After spending some time there over the last week it appears to me that, perhaps for the first time, the PNP occupiers are a close knit family, and they treat each other that way. 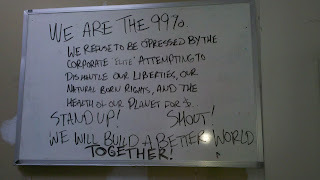 As a group they seem more active and engaged in all things occupy they any other faction of the Occupy Atlanta community. 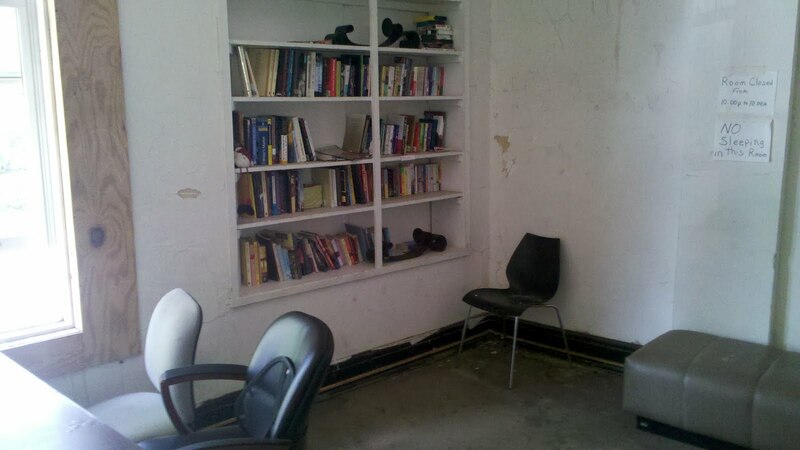 There have been very recent additions to the PNP occupation including a library, and bathrooms with showers. There's untapped potential. Recently the idea of getting weekly workshops designed to increase the capacity to organize the hundreds of homeless that stay at the task force nightly has been bounced around. During the summer and winter, up to 700 homeless men sleep at the task force. The PNP occupation has serious needs. 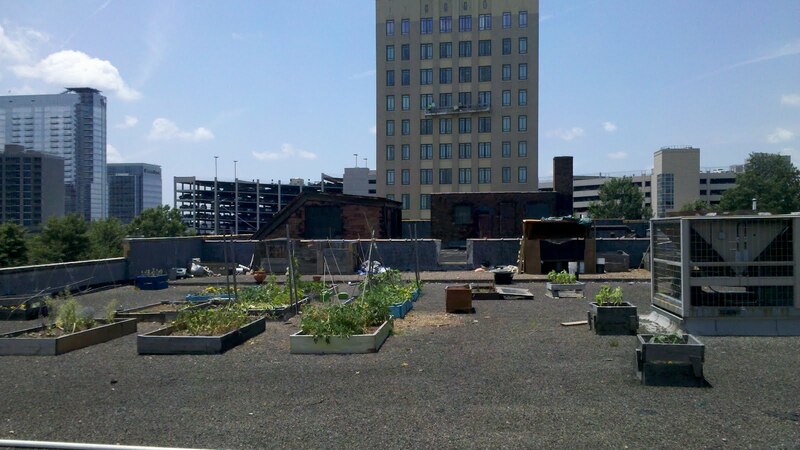 The PNP occupiers have managed to start and maintain an amazing rooftop garden. 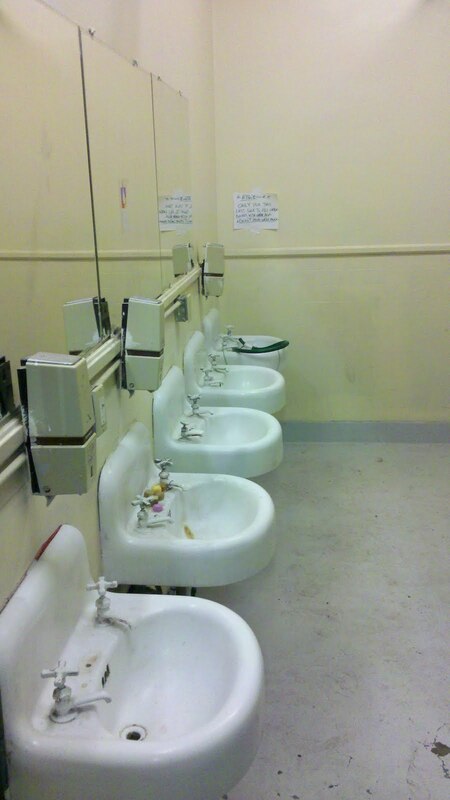 In order to insure it's survival, they need more water. 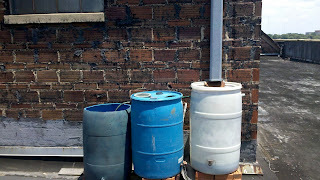 They are specifically asking folks to donate a barrel for rain collection, a few barrels wouldn't hurt! 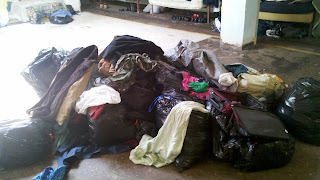 They have mountains of dirty cloths that need to be cleaned, and perhaps a pick-up truck to hall the clothing. The intention is to donate the clean cloths to other occupy projects like Occupy the Hood and the Really Really Free Market. They always need food! They need fans and air purifiers. There is no air conditioning up there....and it get hot these days! They need folks to facilitate trainings? Are you capable? American Friends Service Committee has volunteered to facilitate one workshop per week designed to help folks understand the basics of organizing their communities for the change they want to see. How do you donate? 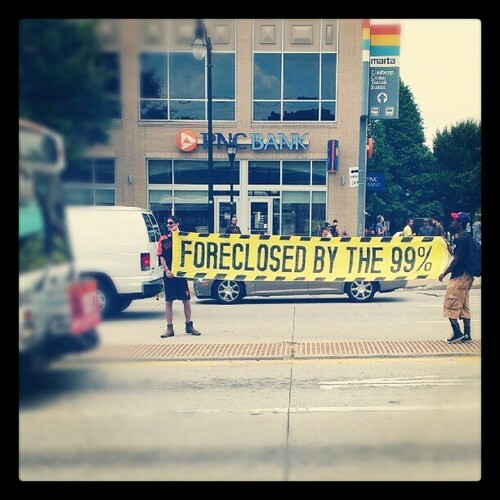 Just go on down to PNP and go to the door closest to the intersection of Peachtree and Pine, on the Pine side, and let them know you're there to speak to Occupy Atlanta folks. 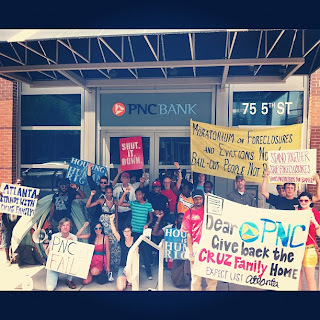 Over the last few days Occupy Our Homes ATL has organized two solidarity actions against PNC Bank for the wrongful foreclosure of the Cruz family in Minneapolis. 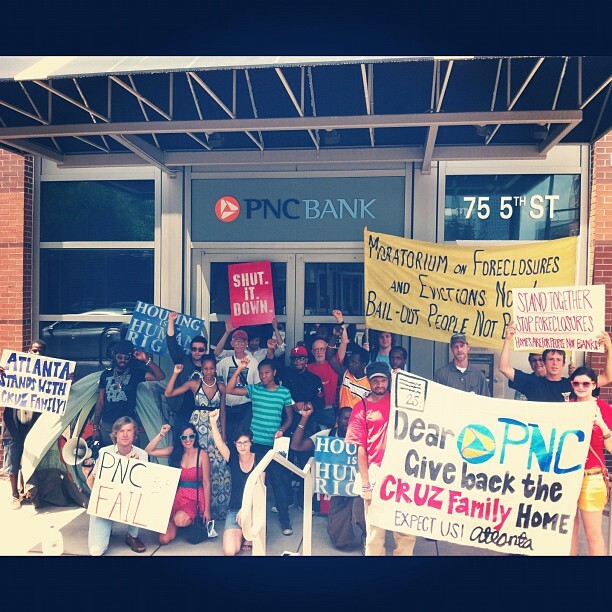 In Atlanta today 50 of us entered a PNC branch with a goal not to target branch staff, but to make it clear that Occupy Our Homes is a national movement, and we will not allow our neighborhoods to be held hostage by the banks any longer. Injustice anywhere is an injustice everywhere. This morning David and Alejandra Cruz went back to PNC Bank's headquarters in Pittsburgh to demand a meeting with PNC executives that have the authority to offer them a good faith negotiation (yesterday they were pawned off on low level PR representatives with no intention of negotiating who disrespected the family). When they arrived at the bank, they were locked out from the building. Despite having traveled 800 miles as their petition has soared beyond 100,000 signatures, PNC Bank's head of security, John Weslager, had this message to deliver to David and Alejandra: "PNC Bank has washed their hands of this issue." AFSC is excited to continue to play an active role in supporting this historic movement and encourage others to do the same. This past weekend the Pittman family held a yard sale on Saturday and Sunday to help cover the costs of a down payment on a loan from Capitol City Community Bank and Trust that would cut Chase Bank out of their lives for good. The fundraising goal was set at $5,500. Which would cover closing costs and a down payment. 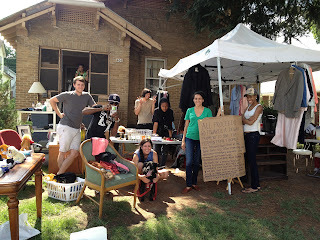 Between the weekend yard sales and our online campaign, we've raised around $3,700! Amazing progress, but we're not their yet. Can you help push us through the finnish line? 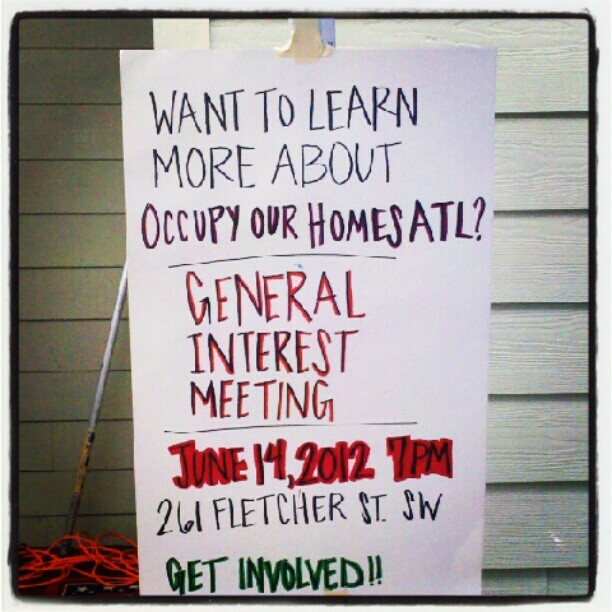 It's been a big week for the newly launched Occupy Our Homes ATL(OOHA) movement. This weekend AFSC participated in an all day retreat designed to begin the tough work of building a sustainable structure and organizing strategy for OOHA. It was especially exciting to see so many folks in the room who had personal experience standing up to the big banks and resisting foreclosure and eviction of their own homes. 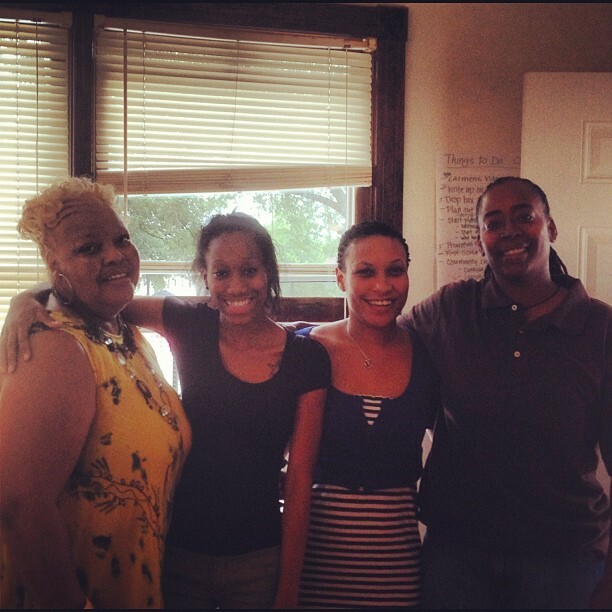 It was the first time we had Carmen Pittman, Chris Frazer, Brigitte Walker, and Ajai Craig all in the same room. 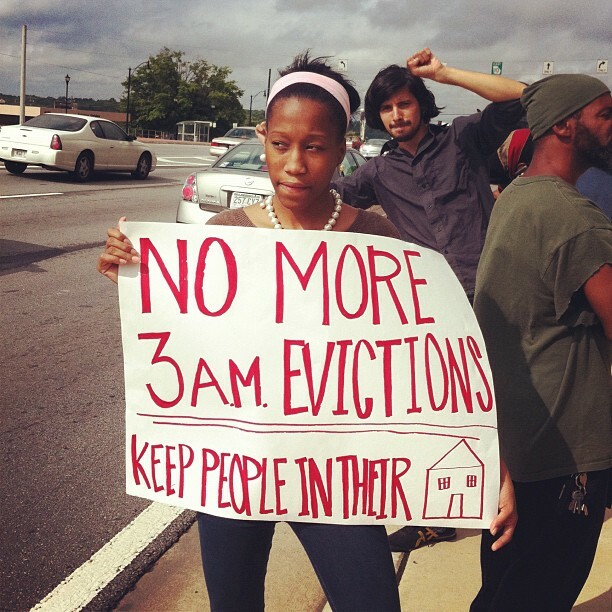 Many of us believe it's crucial to build a resident led movement to effectively take on Atlanta's housing crisis, which many may not know is much worse today than any other time in the city's history. In order to move towards a resident led movement we recognize that the most effected residents need to take on leadership roles from the get go, and be the face, voice, and spirit of resistance. No one can reach out to those struggling with housing better then those who have been through it themselves. Too many people in our city silently struggle, often times in shame,to maintain a living space, while financial institutions shamelessly make record profits putting more and more Atlanta residents on the streets. Our city can no longer afford the gross disregard for human rights, our local government's inadequate response to the housing crisis, or law enforcements cooperation with illegal foreclosures. We are a grassroots, member-led organization that seeks to build power in metro-Atlanta neighborhoods highly impacted by the housing crisis. 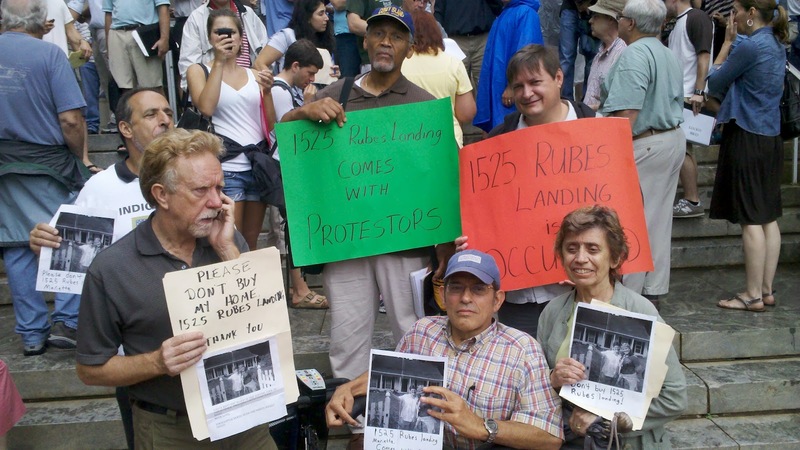 By mobilizing communities around foreclosure, eviction, tenant rights, and public land rights--with an emphasis on leadership development and fostering a culture of resistance through nonviolent direct action--we strive to transform our city's approach to housing. We believe that housing is a human right regardless of race, national or ethnic origin, economic background, religion, disability, sexual orientation, gender identification, or immigration status. 6.) 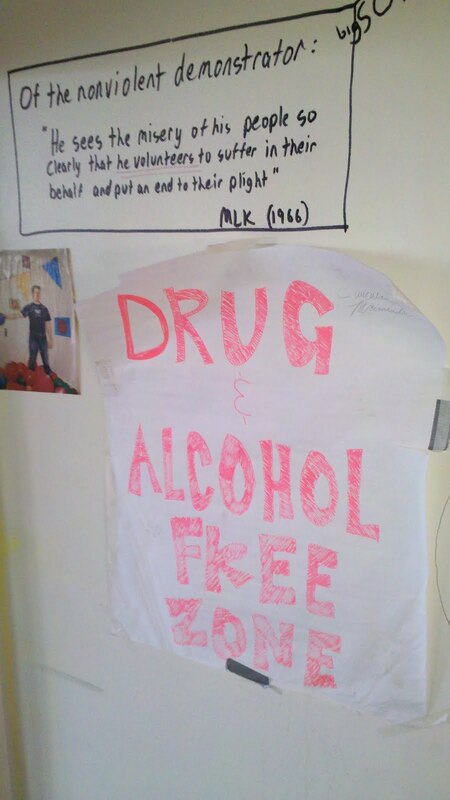 and striving toward a system where people have more control over the communities they call home. After the retreat over a dozen folks went out into the Pittsburgh(ATL) Community and canvassed the neighborhood, letting folks know about OOHA, and inviting everyone out to a community cookout. 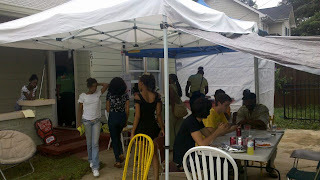 Despite the cloudy day, which did bring some rain, the cookout was a big success. Over 60 people from the neighborhood came out in the bad weather to hang out, eat food, and give us their thoughts on how we can build movement around the housing crisis that's hit the Pittsburgh community hard. 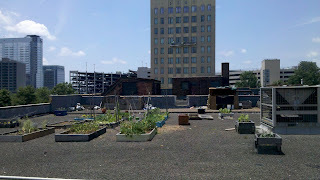 OOHA is hosting a meeting this Thursday the 14th for folks that want more information about how to plug into the work. 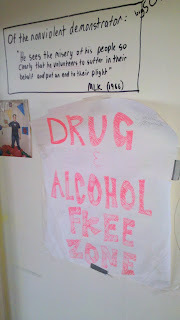 AFSC is excited to have the opportunity to play a role in this important work. Like many families across the nation, the late Ms. Eloise Pittman was a victim of one of the worst cases of predatory lending. 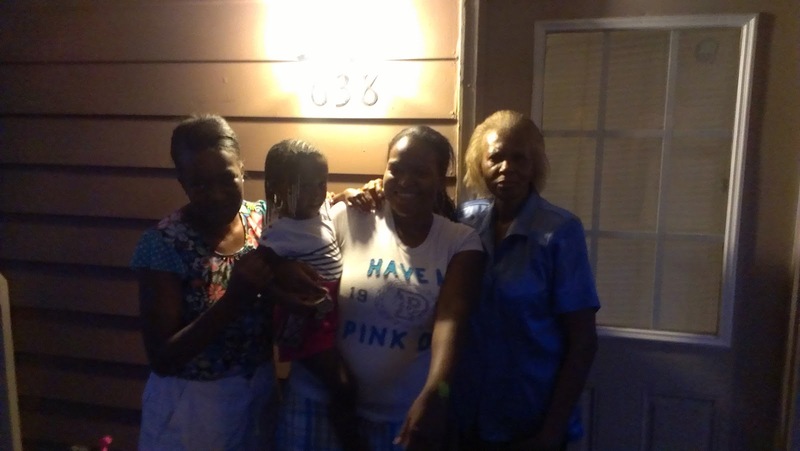 The Pittman family has been fighting to save their home since November 2011. For the family, this house is more than a building that gives shelter. It is a home that has been passed down through generations since the 1950's. Occupy Atlanta and allies have(Including AFSC) been defending the home alongside the family since December of last year. After organizing marches, bank sit-ins, and petitions, they've been able to push Chase Bank to offer a price the Pittman's can afford...but there's a problem; they will only accept cash payment. We need to raise $5,500 for a down payment ASAP. Can you help us in the final stages of this campaign? Click here to Give Now. A win for the Pittman family isn't just a win for the 99%, it's a message to the big banks that crashed our economy. We will no longer allow you to hold our communities hostage! Thank you for reading this, and thank you for helping! 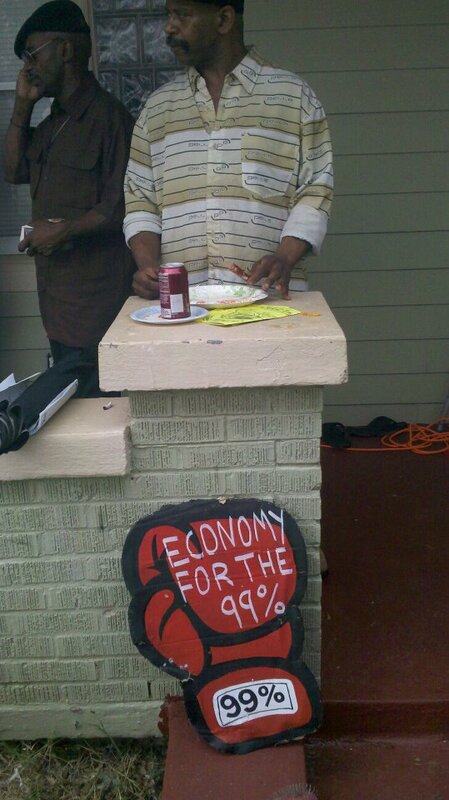 Just 24 hours before the monthly home auctions that occur at every County Courthouse in the state, Occupy Our Homes ATL had several frantic homeowners reach out. Why are they frantic? 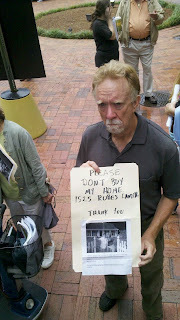 ...Because their homes were set to be auctioned off today on the court house steps. The story of Pearl Scott, a Fulton County resident looking to defend her home from foreclosure, sounds like that of many others in the state of Georgia and across the country. She has lived in her Vine City home for seventeen years and kept up with her mortgage payments for all that time until just a few months ago. 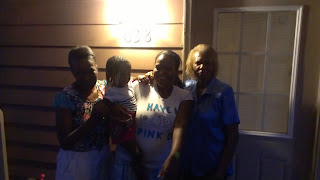 Pearl Scott is a 69 year old retiree who is now getting by on her Social Security checks and is struggling to make ends meet, but she is determined to stay in her home. Even after falling behind on her mortgage at the beginning of the year, she continued to diligently send in every penny she could afford. 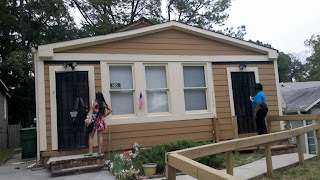 All of Ms. Scott's efforts seemed to have been in vain when she was informed that her home was set to be auctioned off. 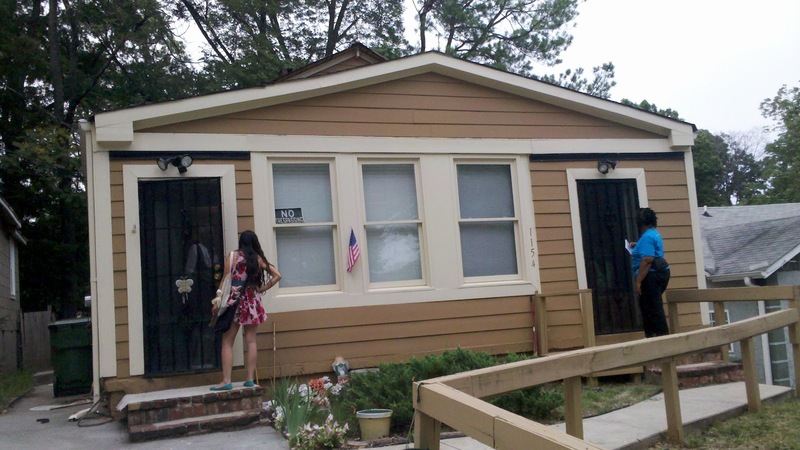 Rather than giving in, Ms. Scott reached out to Occupy Our Homes Atlanta to help her come up with a plan to save her home from being auctioned off to investors. The Scott Family's last minute efforts to save their home inspired fellow homeowner Steve Boudreaux to take action to save his own home on the Cobb County Courthouse steps (on the Roswell Street side). 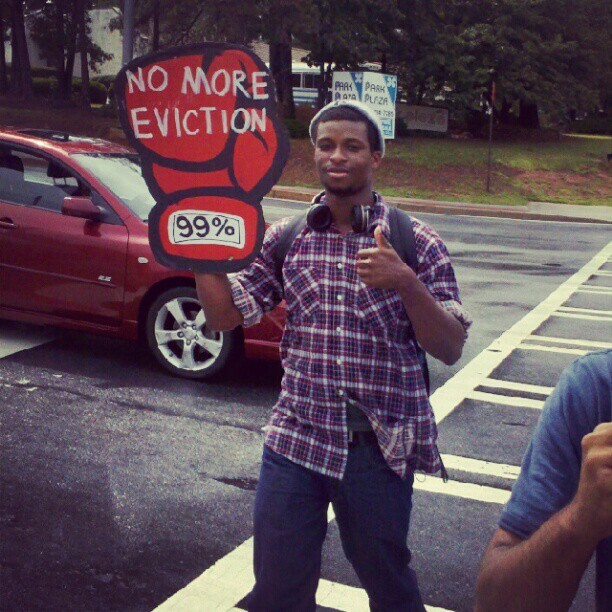 Occupy Our Homes Atlanta joined both the Scotts and Steve this morning in Fulton and Cobb respectively to discourage anyone from bidding on their homes. After a long day of vigilantly listening for their addresses to be cried out and their homes bid on, Pearl Scott and Steve Boudreaux can rest a little easier now. Homeowners and dozens of allies turned out with enlarged family photos and signs that read "Buy this home and you get an occupation for free!" to discourage investors from bidding on their homes. And it worked! No one bid on Pearl's home at the Fulton County auction, nor on Steve's in Cobb County. In fact, investors and homeowners all gathered round to see if anyone dared bid on the properties. 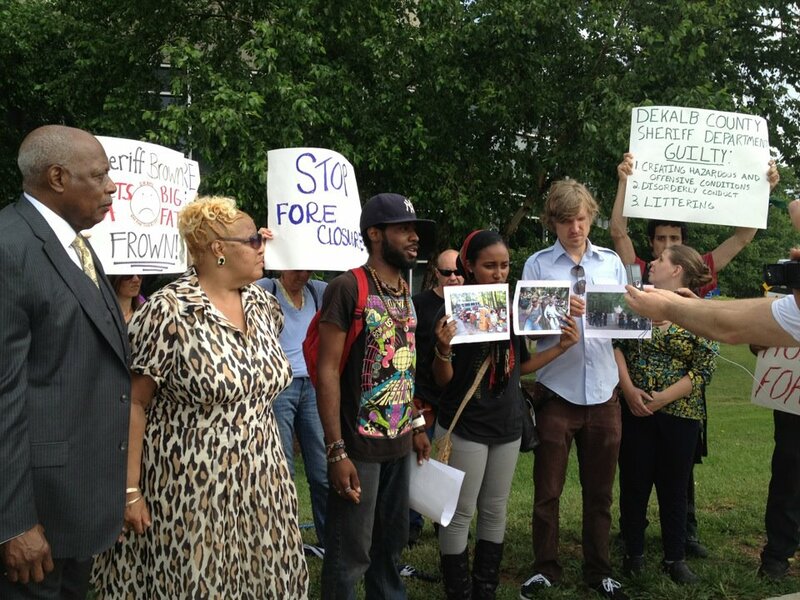 While the homes were not purchased, we know Pearl and Steve's fights to stay in their homes are far from over. Occupy Our Homes Atlanta is committed to pressuring Everhome Mortgage and Wells Fargo respectively to make deals that will keep a secure roof over their heads. 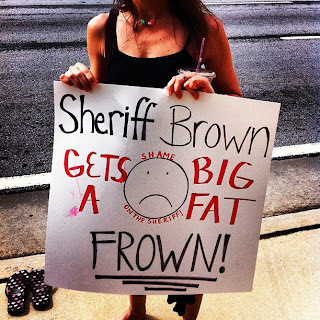 In Cobb county, a coalition of everyday people--inspired by Steve's struggle--formed on those very courthouse steps. 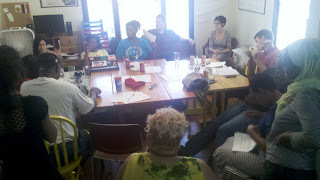 They are excited to meet next week to start building a campaign to demand that Wells Fargo keep Steve in his home. AFSC is excited about the new doors of nonviolent resistance that Occupy Our Homes has opened all over the country, and we plan to continue to support the movement.